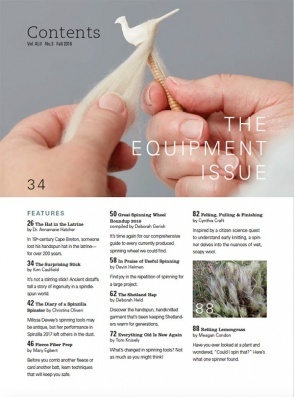 Spin Off Fall 2018 is all about helping your equipment help you. Spin Off Fall 2018 is dedicated to the equipment spinners use every day. 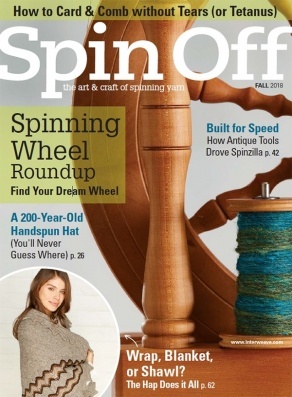 You'll find details about 80+ spinning wheels in our Great Spinning Wheel Roundup. The buyer's guide will help you understand the wheel you already have, and new listings for e-spinners and charkhas shed some light on these increasingly popular tools. 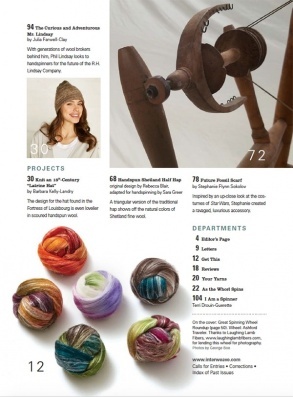 Learn how to keep yourself injury-free while preparing fiber, and enjoy three handspun projects: a knitted hat based on a artifact from a latrine; a multi-use half hap; and a handwoven scarf inspired by Star Wars.